gave these forks to my niece because she only had a few very short ones for her family of 3. She was thrilled with them. I have Oneida silverware myself and know what a fine product it is. she says they are strong, attractive and wash up well. I would have liked some with more of a pattern on them, but these get the job done, and my niece seems happy with them. I have always been pleased with anything I have ever ordered from Miles Kimball and never had to return anything - that says a lot about your company! I have ordered these forks before - somehow my forks just disappear, so I am so happy I can just buy as many forks as I need. 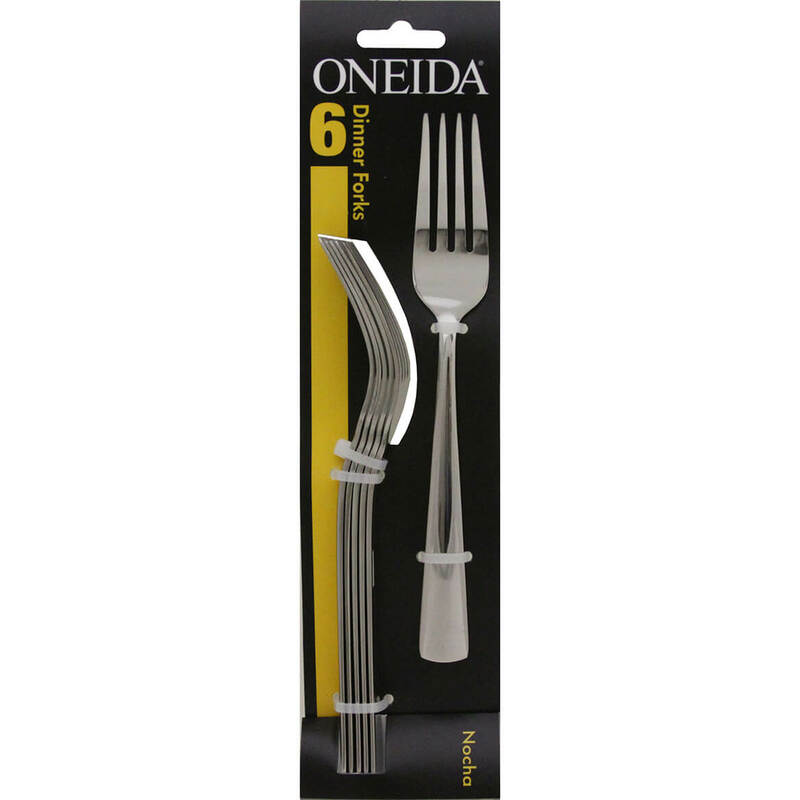 needed forks, Oneida is good quality and the price was right.